In a big setback to the Tatas, the Supreme Court has quashed Singur land acquisition by the West Bengal government in 2006. 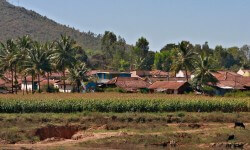 The top court has given the state government two weeks to hand over 1,000-acre land back to the farmers. 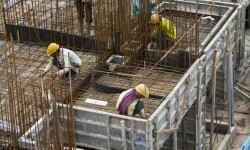 In a bid to give a leg-up to the construction sector, the Cabinet Committee on Economic Affairs cleared several measures, including easier norms for faster settlement of disputes between contractors and government departments, and partial deposit of funds by government agencies, if they appeal against arbitral awards. Finance Minister Arun Jaitley said the move would pump in a lot of liquidity into the sector, activate real estate and infrastructure projects which had been stranded for some time, and support the entire process of dispute resolution. In the wake of growing litigation over the government's anti-encroachment drive, the Karnataka government has decided to establish two special courts to handle land grab cases under the Karnataka Land Grabbing (Prohibition) Act. The first such court will start functioning in Bengaluru and trials will be completed within six months. The Airports Authority of India and the South Delhi Corporation have created a common online platform for applicants, seeking approval for their building plans, especially with regard to constructing high-rises. Besides this, the authority has also relaxed the 18-metre restriction to construct taller buildings in areas close to the Indira Gandhi International (IGI) Airport. With building plan approvals simplified and the red zone reduced, people can easily construct buildings in areas such as Dwarka, Vasant Kunj, Janakpuri and Kapashera, and some parts of the Lutyens' Delhi. The Karnataka government has extended the time limit for people residing in rural areas to apply for regularisation of their properties built on government land. Owners of unauthorised houses have been asked to submit their applications by the month-end.